Welcome to the home of the OBLIVION 300+ remote control helicopter. 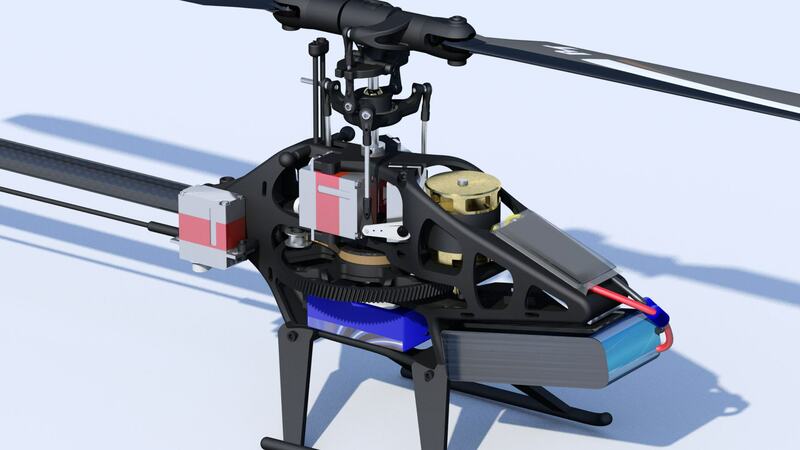 This is a non-commercial website about a custom-built micro helicopter with high performance 3D flight capabilities. NOTE: This site is work in progress and the helicopter is still at design stage! A few things had to come together for this project to turn into reality. First off, noticing the precision, strength and weight of SLS (Selective Laser Sintering) plastic. When Andy Rummer first showed me a piece of this material, it immediately became clear to me that it has everything to perform great in RC-helicopters. It is all a matter of proper dimensioning. Secondly, my passion for the 300 size since 14 years and the conviction that 5.000 RPM headspeed is not the solution. Discload matters. 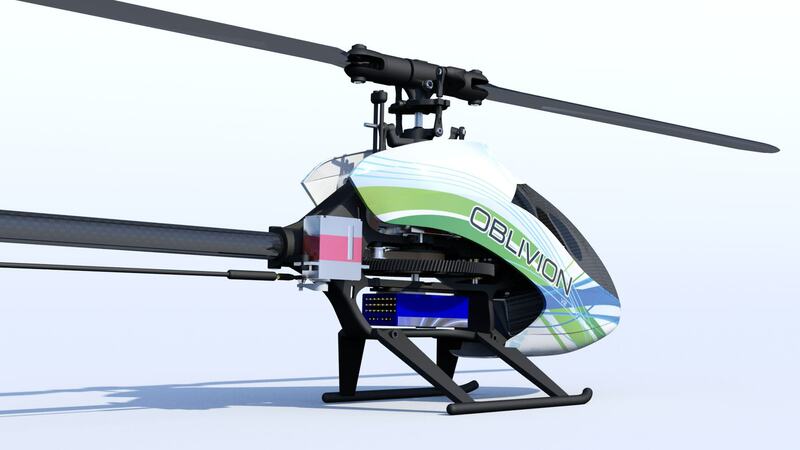 Finally, the thought of combining all best practices i have learned and seen in RC-helicopters into one model of this forgotten class – and making it easily accessible to everyone: The Oblivion 300+. 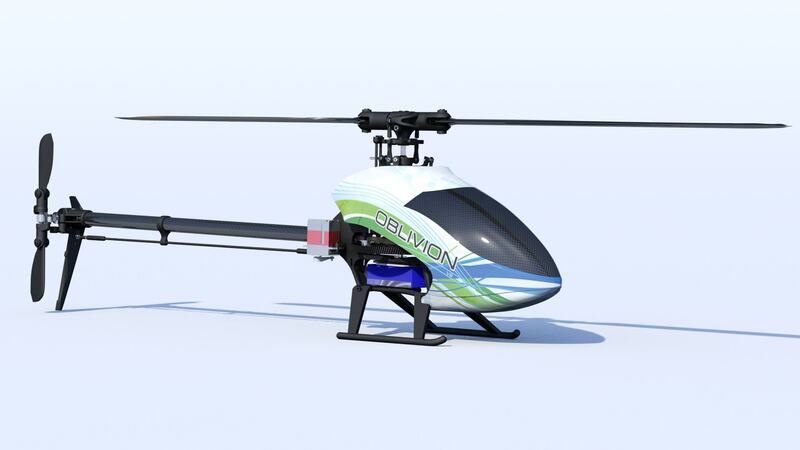 In more detail: The design goal is a 300ish size helicopter that would lock in nicely on pitch and provides full 3D capabilities – all at 2.200 RPM. This results in less mechanical wear, lower noise level and light-footed flight characteristics. You will dare more with the Oblivion than you will with other models. Furthermore, this is a non-commercial project. Which means all drawings and 3D files will be publicly available in STL format. Practically anyone can send them off to Shapeways.com or other SLS services for printing which has a low price tag. Please note that regular 3D printers will most likely not produce parts that will work for this purpose, simply because of weight and tensile strength. Key design aspects are: 120° heavy duty swashplate for equal load of each servo. Three-point guidance for the main shaft to allow for maximum frame rigidity and least amount of torsion towards the tail boom. 12mm carbon tail boom which essentially eliminates the need for additional boom support. 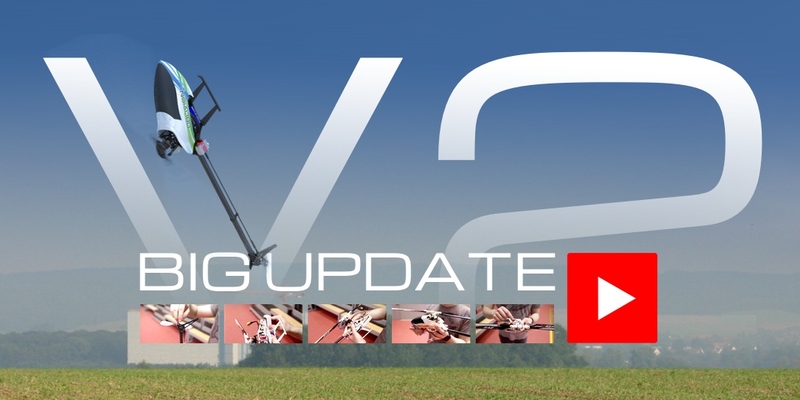 Mono-frame – mounting a swashplate guide? 10 or more parts to build a frame? Not needed, since the frame and all struts are a single piece of plastic. 17 bearings, including thrust bearings for main rotor. Low disc-load of around 1.36kg/m2. 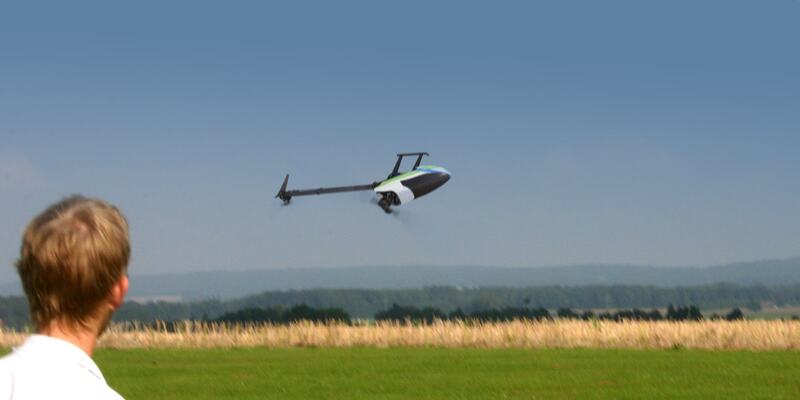 I am still at the design stage, and only a few prototype helicopters exist today. The core rotor system also works on a different chassis and performs flawlessly. I am going to post updates on here as we move ahead with development. My name is Christian Ruck and I have been flying rc-helicopters and planes for quite some time now. I also run www.microheli.net, a website especially for micro helicopters. I am not a team pilot, tied to or biased by any particular manufacturer. The Oblivion is a personal and non-commercial project, essentially about finally building the model I feel is missing in the market.